The hoagie is a renowned American sandwich that has managed to entice food lovers from across the nation. Although you can get a good sub sandwich almost anywhere, the great city of Philadelphia can be credited with the invention of hoagies. In fact, they rival the popularity of Rocky Balboa and the Liberty Bell, making these treats one of the most recognizable Philly icons. One could imagine the joy and pride that can be felt on September 14th, National Eat a Hoagie Day. Eat a Hoagie Day demands no special tradition, or expensive shopping sprees. You only need to get your hands on a delicious hoagie, and enjoy a relaxing afternoon. As previously mentioned, most people agree that the hoagie originates from the city of Philadelphia or one of its surrounding suburban areas. Regardless of where it’s from, its nation-wide appeal is as undeniable as the unforgettable taste of fresh deli meat. Basically, a hoagie is a Philly sub sandwich that has managed to conquer America, to the point that it has its own holiday. The name is derived from Hog Island, a place that can be found at the confluence point between the Schuylkyl and Delaware Rivers. The Italian and Irish working class people that lived on Hog Island were nicknamed “Hog Islanders,” or “Hogans.” Most of them would look forward to their lunch breaks, as it allowed them to enjoy long, delicious Philly bread sandwiches called Hoagies. These lunchbreak snacks were the precursors to the modern hoagie. Most would say that hoagies are made with care and love. Hoagies are a perfect example of a simple food that surpasses mediocrity through the use of quality ingredients. They usually contain various cold cuts, skinny, long or medium peppers, along with prosciutto, and some delicious pepper relish. Depending on where you buy them from, these sandwiches are massive. They stay true to their working class days, when they needed to fill the bellies of some very hard-working people. Although, cold cuts snacks are available in every city, hoagies are special because they only use fresh, local Philly bread. Should the bread run out, most self—respecting shop owners would prefer to stop making hoagies, rather than using lesser breads. There are no massive international conglomerates that distribute quality hoagies. This sandwich’s magic comes from its local neighborhood charm. Your hoagies should be made with passion by people you know. Stores like Primo Hoagies, Juliano’s Deli, Pastificio’s, Cosmi’s and Carmen’s Deli, will continue to supply the people of Philly with mouth-watering sandwiches. On National Eat a Hoagie day, these venues are sure to stay busy. 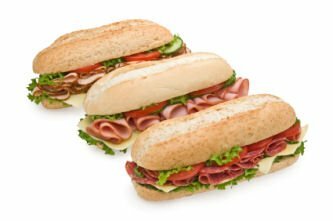 They will supply the community with Italian Hoagies, Hoagie Dip, Hoagie Casserole, Hoagie Rolls, Italian Meatball Hoagies, Shrimp Avocado Hoagies, and many other tasty variations. At the end of the day, hoagies are a reflection of their local community. They started as the working-man’s sandwich, offering sustenance for those that lived by the sweat of their brow. National Eat a Hoagie day gives us an opportunity to celebrate the charm of simpler times, with a taste that accurately represents the Philadelphia spirit.